Turns out, it’s not a joke at all. 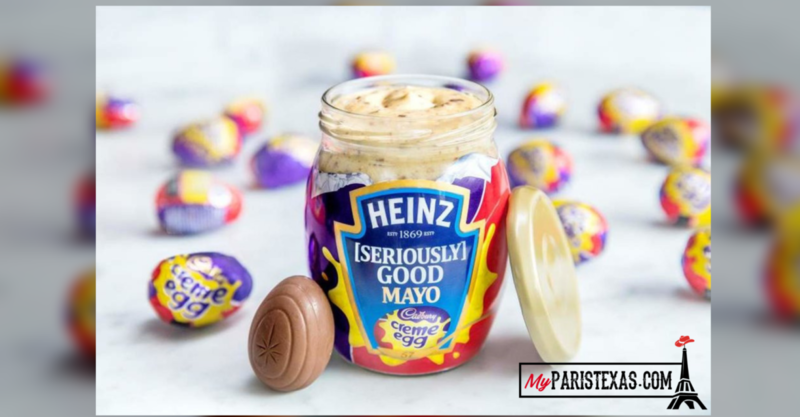 “We weren’t kidding, Heinz Creme Egg Mayo is a thing! Who wants to try it? OF COURSE, YOU DO! Come and see us at Ely’s Yard, Truman Brewery in London from 11th-13th April for free samples of this crazy combo. Only until stocks last!,” said the Heinz on Twitter. Heinz says it is a blend of mayo, mustard, and Cadbury Creme Eggs and the condiment is a great way to add flavor to waffles and cupcakes. But this strange combo isn’t hitting store shelves – at least not yet.